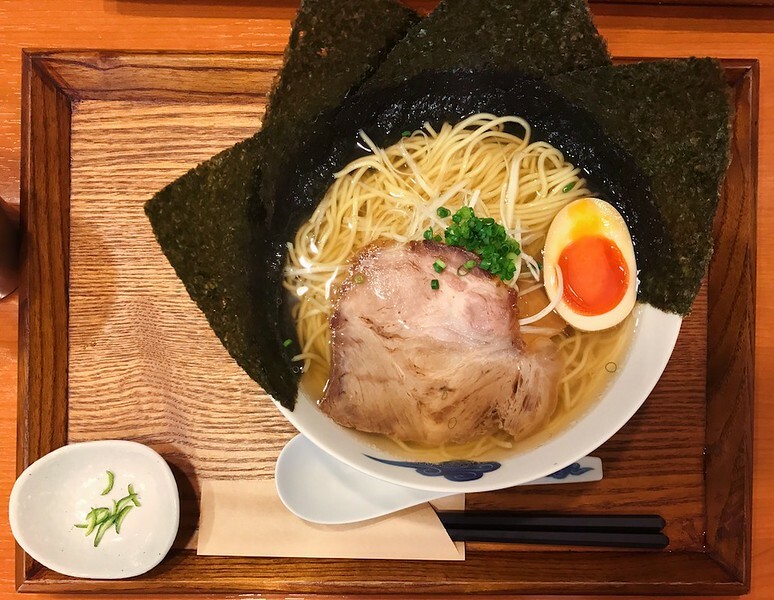 Inoichi is a tiny 10-seater ramen joint in downtown Kyoto that’s completely worth the wait. 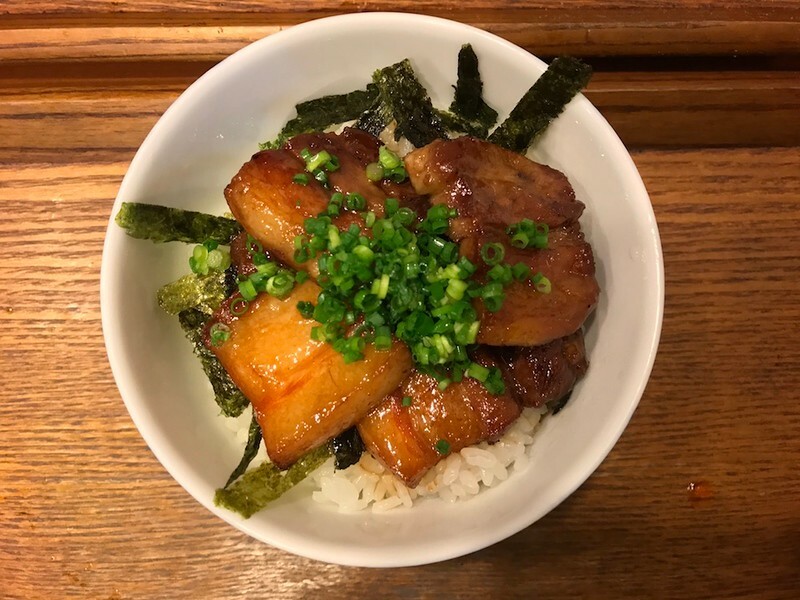 I love great food but I’m impatient, so there aren’t many restaurants I’m willing to queue for, especially with so many great restaurants in Kyoto. However, I’ll happily stand in line for the fantastic ramen at Inoichi. Ordering here while you wait to enter this small restaurant is easy: not only do the friendly waitstaff speak rudimentary English, there’s an English menu complete with explanations for each item, so non-Japanese speakers won’t have a problem ordering their meal. 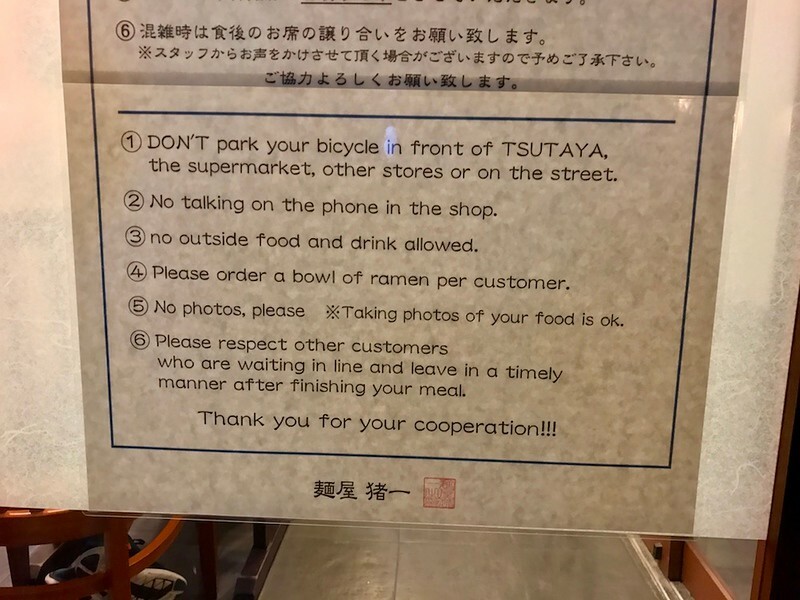 In a move that many non-Japanese visitors may find unusual, there are also quite a few rules for diners to follow, as you can see from the photograph above. However, these rules do make for a more pleasant dining experience overall, and you’re there for a relatively quick meal anyway. 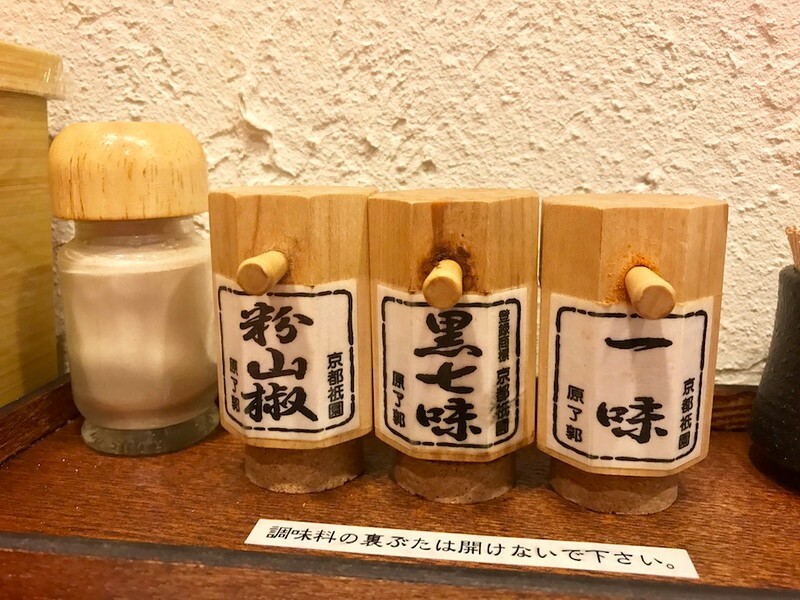 Inoichi offers diners a choice of white or black soy sauce for flavoring their broth. White is for those who prefer a more delicate soup, while the darker soy sauce will give the broth a more robust flavor. I ordered their classic Shina soba (“Chinese soba,” or ramen) and opted for the white soy sauce flavoring. 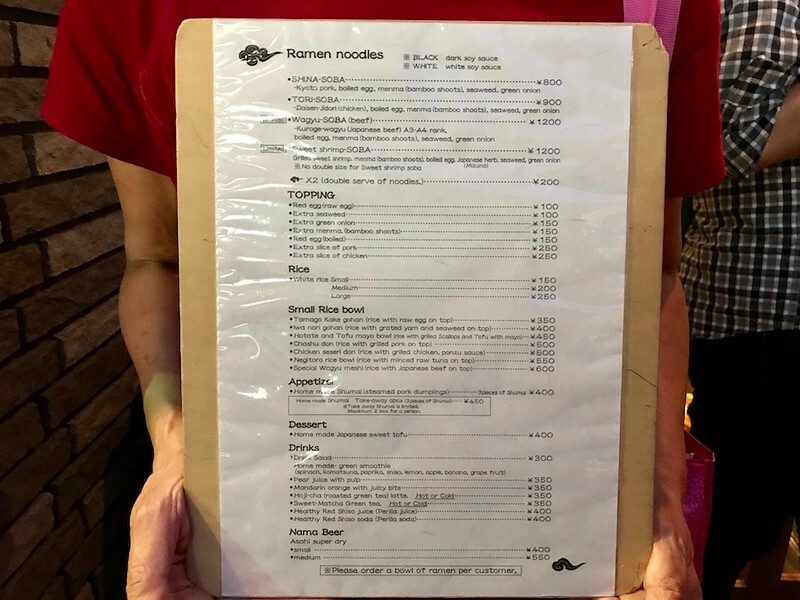 The noodles had a lovely alkaline bite reminiscent of Chinese-style wonton noodle bowls, and the bamboo shoots were crunchy and sweet; my rather picky dining companion, who normally despises bamboo shoots in her ramen, pronounced these “adequate” – high praise coming from her. A special mention must go to their soy-marinated “red egg” topping, with its perfectly gooey yolk and unusually sweet and delicious white – one taste and I immediately regretted not ordering an additional egg for my bowl. 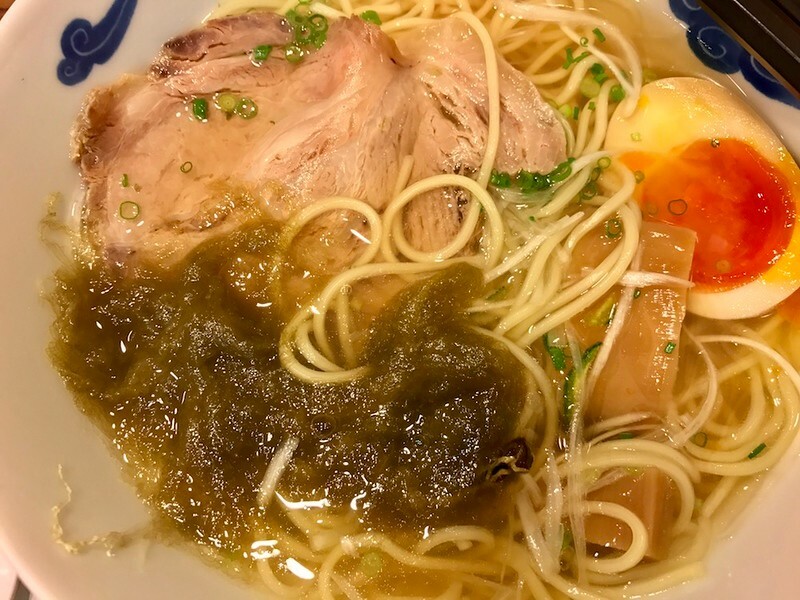 Broth is the heart and soul of any ramen bowl, and the measure of its worth is whether one wants to finish it. I drank every last drop and wished I could ask for more. Some ramen broths can overwhelm with their intensity and fattiness, but this is a broth you’ll want to finish. I chose the version spiked with white soy sauce, and it had a most beguiling depth of flavor for a broth so clear, light and golden. 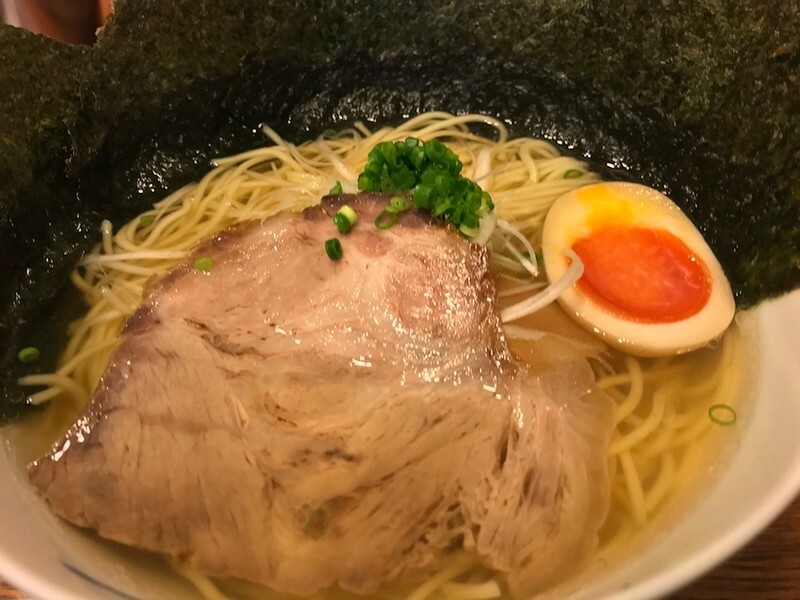 But there are no meat products to be found in their soup – Inoichi’s soup base uses only kelp and various dried fishes, including sardines and bonito. Non-meat eaters could theoretically omit the pork topping for a pescatarian ramen bowl. Another fun part of eating ramen at Inoichi is how you can customize the bowl as you go along with the various condiments provided. For instance, adding a few scrapings of the yuzu zest provided to the broth gave it a delicious citrus perfume. Out of all the peppers provided, I most enjoyed the addition of kuroshichimi black seven spice pepper (黒七味) to the broth. You could also try adding some kelp to your ramen. The kelp comes in a wooden box on your table, and looks like a whitish tangle. When it soaks up some broth, the kelp becomes rather slippery and slimy. I personally did not love this, but it is worth trying nonetheless for the experience. An optional but highly-recommended side dish here is their chashu don, a rice bowl with grilled pork slices on top. It’s exactly as it sounds – uncomplicated and delicious. And, if you can, order an additional egg on top to further sauce your rice. A word about Inoichi’s customer service: having lived in Japan for several years now (and having worked in retail here previously), I’ve grown accustomed to above-average customer service in everyday life. However, I found that even by Japanese standards, Inoichi went above and beyond to provide a top-notch experience for diners. For instance, the waiter taking orders would ask each foreign customer where they were from, and proceed to thank them in their own language. 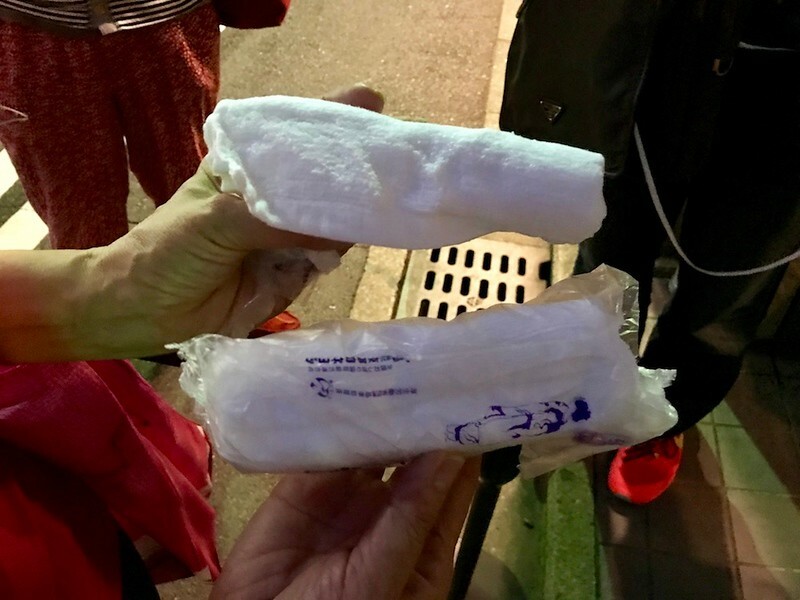 As new customers joined the line, he would periodically emerge with frozen wet towels for them, which made queuing on this hot, humid summer evening infinitely more bearable. After finishing our meal, it turned out that it had started raining, and neither I or my dining companion had brought an umbrella with us. The waiter noticed this, and gave us a small umbrella so that we could walk to the train station – an incredibly thoughtful gesture which saved us from being soaked in the rain on the way home, and which completely made our night. There is Japanese customer service, and then there’s a restaurant like Inoichi. 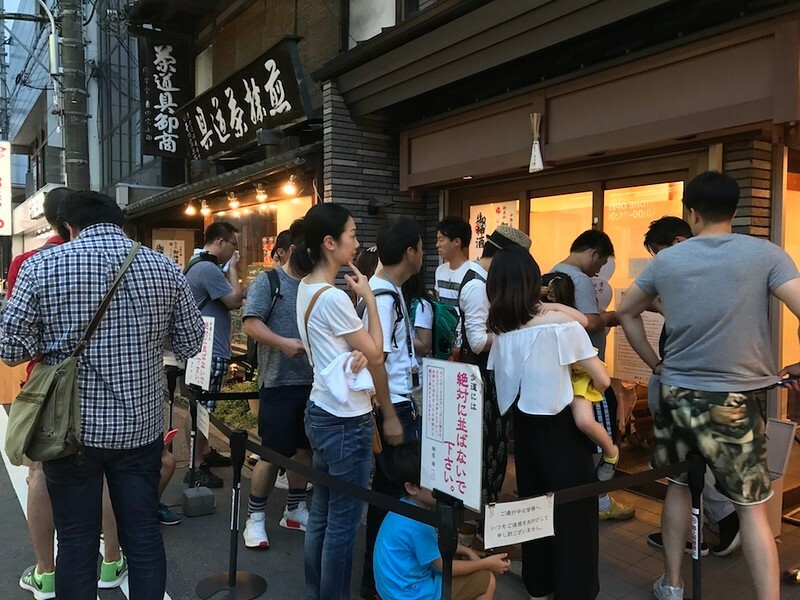 Make no mistake – Inoichi is an extremely popular restaurant, and seems almost to have a permanent queue during their opening hours. If you arrive at peak dinner hours (from around 7~8.30pm), be prepared to wait for around 45 minutes. However, if you arrive early and preferably before 6pm, you’re likely to have a shorter wait in the line. In any case, I think Inoichi is worth queuing for, especially if you’ve made the long trek to Kyoto. I’ll see you in the line. Inoichi is located in Kyoto’s Downtown district. See our complete list of things to do in Downtown Kyoto, including places to eat, nightlife and places to stay.